Now.......on to this will scrappy challenge at Scrap it With A Song!!! This one is FUN!!! As tho you couldn't tell by my post topic.......we are gonna VOGUE this week!! Strike a pose there's nuthin to it.......vogue, vogue, vogue............I am so glad you can't see me trying to dance :) NOT pretty!!!! Here's the video so you can see how it is SUPPOSED to be done! I look like I'm having a seizure or something......lol. 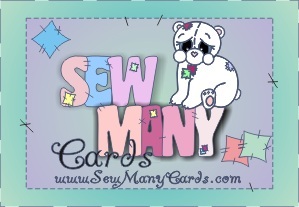 Our sponsor this week, once again the amazing Sew many Cards! And let me tell ya.....they have the CUTEST digital stamps and images!!! Check em out!!! They are providing out winner this week with 5......yup FIVE!!! Digital images of thier choice!! Our DT rocked it this week! I did however notice that my project is missing.....ahem!!!! It's an honest mistake :) I did do it I promise!!!! It's not like when I said the dog ate my homework...I REALLY did this one!!!! Liz's project is just so incredible it got posted twice :) Not a problem!!!! Here is my take this week.....seems like everyone pretty much had the same idea......great minds think alike I guess!!! Here is my little poser Jesse on the 4rth of July of this year.......strikin a pose....of course!!! On of my very favorite LO's ever!! I had so much fun making a mess and putting this one together......LOL. 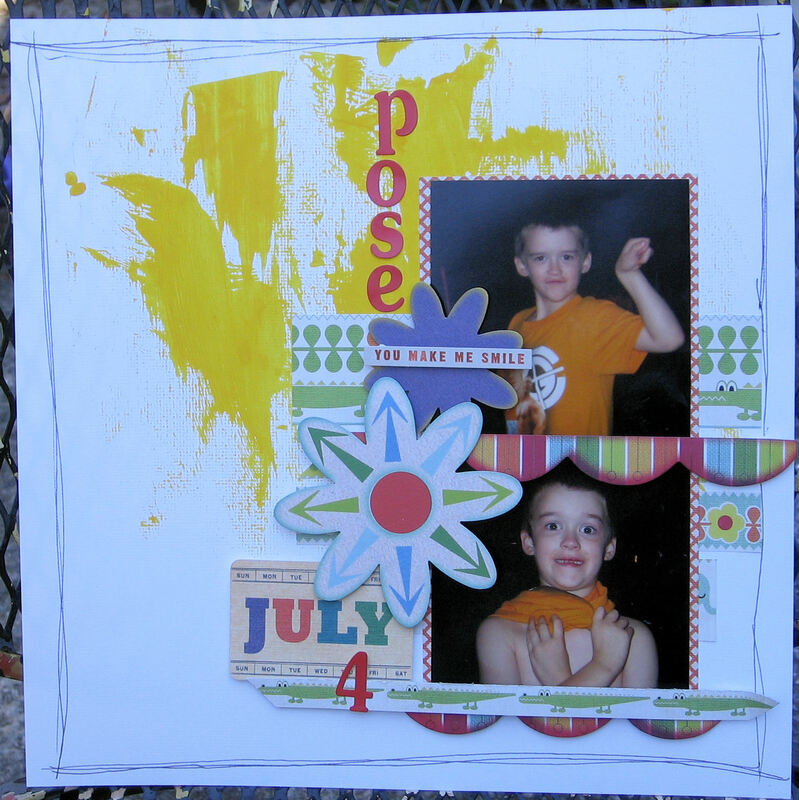 I applied the yellow Crate Barrell paint with a playing card....just dipped the edge in and smeared it on my White Bazzill cardstock.....soooooo cool!!!! All the paper scraps were indeed bits and scraps from Sassafras's Jungle Bungle...or Bungle Jungle.....one or the other.....LOL. And all the flowers and the little card are Sassafras's Paper Whimsies.....which I LOVEEEE!!!! My letters are from Lil Davis Designs, the teeny "you make me smile" is from K&Co. I just doodled the border cuz it needed soemthing extra and I am REALLY trying to get the hang of the cool layering and clustering everyone does. Lots of popdots used here but you can't really see it with this photo. So....let's see whatcha go this week!! Simply create a layout, card or project using the song as inspo.......feel free to go out on a limb just like Madonna wou;d do....well, maybe not JUST like Madonna.....keep it PG at least........LOL. Sheesh...full plate or what? Sorry to hear so much going on! What a fun fun fun layout!